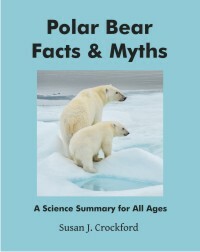 The press release (pdf here) issued by the American Museum of Natural History (AMNH) a few days ago, regarding several recent papers on polar bear consumption of terrestrial foods around Churchill, Manitoba (Western Hudson Bay), left a lot to be desired in terms of relaying accurate information. 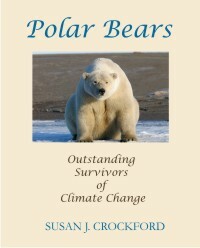 Recent research on polar bear diets by Robert Rockwell and Linda Gormezano, it says, suggests that an increase in the consumption of caribou and snow geese since 1968 is a sign that the polar bears are nutritionally stressed due to recent sea ice changes in spring (blamed on global warming) but may be adapting by changing their summer/fall diet. Figure 1. Polar bear feeding on a caribou carcass, taken July 26, 2010, from the air. This photo was included in virtually all media reports and in Gormezano and Rockwell (2013a:3518, Fig. 3). 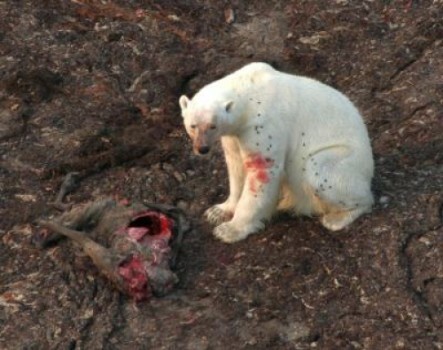 The caption in the paper says, “a polar bear looks up from the recently killed caribou it was eating,” implying the bear may not have actually killed the caribou – some other predator (wolf or grizzly) may have made the kill. The dark spots on the bear appear to be flies. Credit: Copyright American Museum of Natural History/R. Rockwell. However, the AMNH press release fails to mention – as the papers it publicizes certainly do – that Western Hudson Bay populations of caribou and snow geese have increased exponentially since a similar polar bear diet study was done in 1968/69. In other words, there were hardly any caribou or geese around back in the late 60s — little wonder polar bears weren’t eating any. While evidence of polar bears consuming caribou and geese in recent years is certainly an “increase” over late 1960s levels, that fact says more about the status of caribou and geese populations than it does about polar bears and global warming. Media outlets that quoted the press release verbatim, as many do these days (e.g. here, here, and here), missed this essential part of the story – and of course, so did their readers. This is flat-out wrong: sea ice declines have been minimal in spring. The earliest breakup dates since 1991 for Western Hudson Bay, where this research was done, have been mid-June (according to the most recent study by Cherry et al. 2013) and for the last few years breakup has occurred in July. Spring in the Arctic is March-May; summer is June-August. This error appears to have come from authors, Robert Rockwell and Linda Gormezano, as I show below. Is this just sloppy writing or deliberate misinformation? 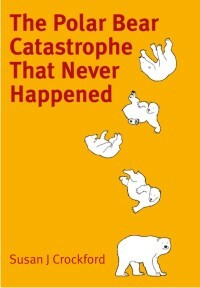 Overall, the press release and resulting media reports seem to be further examples of hyping global warming at the expense of the actual science involved and I have to agree with Andrew Derocher’s interpretation of the significance of terrestrial food items for polar bears. See what you think.